LightSpeed Electrical Automation Engineering Services | House Wiring, Automatic control, repair, maintenance, installation, online services. House Wiring, Automatic control, repair, maintenance, installation, online services. So on Saturday December 6th 2014, by 14:35 hrs, my boss asked me to rush down to Ikorodu and pick up an equipment that we needed for an event that was supposed to start by 17:00 hrs. It was an emergency, the one we were supposed to use just got faulty during General Equipment Testing. I left the site hopeful, that, because it was Saturday, the famous Ikorodu traffic won’t make a mess of my errand. Little did I know there was an ongoing road construction on the returning road, and as my taxi shot down the free Lagos-Ikorodu road, I gaped in confusion at the grid lock on the Ikorodu-Lagos traffic, it was terrifying. If I dared to follow this route home, the event will definitely be over by the time I get to Lekki I.
I had two options: call my boss and notify him that the task is an impossible one, that he should therefore look for an alternative or pray for God to for some miracle. I chose to pray, and I did. Then I asked myself, how funny can religion be? What kind of miracle should I now expect from God, will he somehow fly me from Ikorodu to Lekki? But as the thought of flying crossed my mind, I started pondering about other means of transportation: if only there was a rail line, or a river, WAiT! Eureka! There isn’t just a river, there is a mighty ocean right there at my service. I started asking the taxi driver about boat services from Ikorodu to Lagos, but he tried to discourage me, telling me that today is Saturday and it’s like they don’t operate today. He must have been counting on me as his return passenger, I decided to ignore him. Immediately after I picked up the package, I asked him to take me to the jetty. 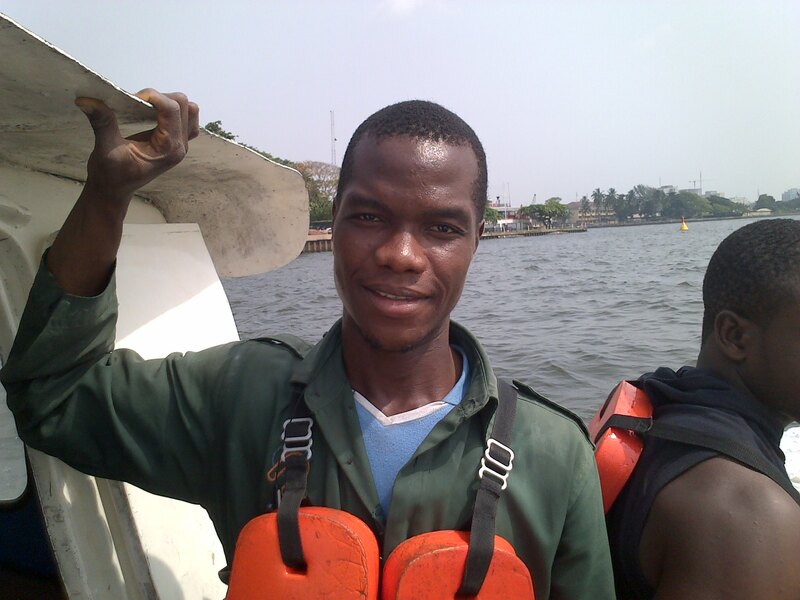 Sadly there were no boats to Lekki by that time, but I was fortunate to catch the one to Ajah. I am pleased to announce to you, dear friends, that the journey took exactly 06:37 minutes. A journey that would’ve take hours on the road. So throughout yesterday, till now, I kept asking myself: what are people doing on the road, if our Water way is so functional and efficient? How to balance the load in your house on a 3-phase wiring. 1. Use a digital Clamp Meter to measure the current flowing through each phase, while most of the appliances in your house are switched on. 3. Transfer some appliances from the line most loaded to the one that is least loaded, and repeat this step until your values as close to each other as they can get. Note: If you own appliances that have automatic control, like Air Conditioners with Thermostat, then those reading will need to be taken more than once over a certain period, and the average value should be used for the analysis.